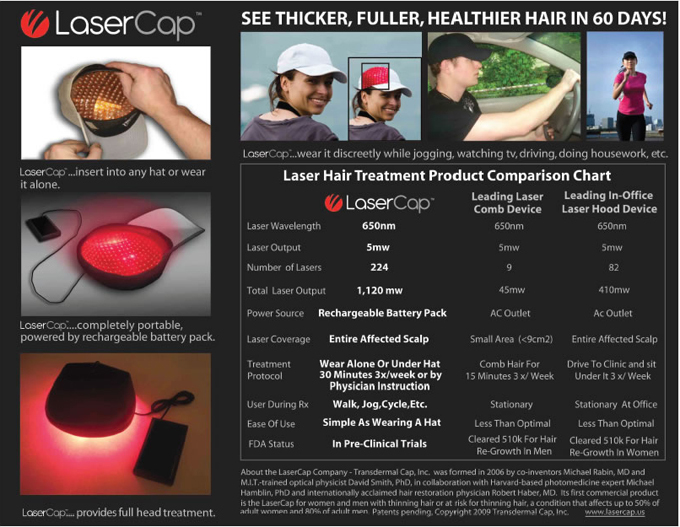 Hair Transplant Vegas Is proud to announce the arrival of the LaserCap, and Dr. Brown is the only physician in Las Vegas and Nevada to offer this exciting device. Through low light laser therapy, we are able to stimulate cell growth and blood flow in and around the follicles, improving hair regeneration. For the full science of photobiology and low level laser therapy, please follow this link: http://www.photobiology.info/Hamblin.html. Find out if LaserCap treatment is right for you. Contact Dr. Steve Brown and his team at Hair Transplant Vegas online or by phone at 702-990-1975 to arrange a free consultation.